MEASURES: Sign is approx. 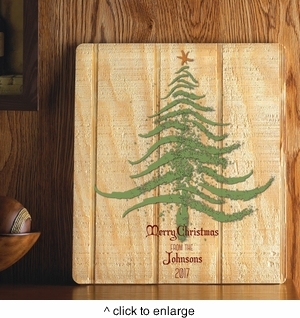 14" X 16"
DETAILS: Our wood art signs are personalized for the perfect addition to any space. 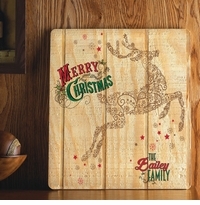 From your den to the family room, our real wood signs are sure to catch your eye! PERSONALIZATION: Personalize with 1 line up to 15 characters and year (4digits). Wording and Design are standard. 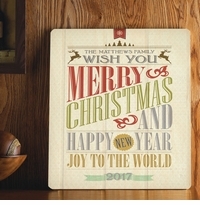 PERSONALIZATION: Personalize with 1 line up to 15 characters and year "Merry Christmas" "the" and "family" are standard.